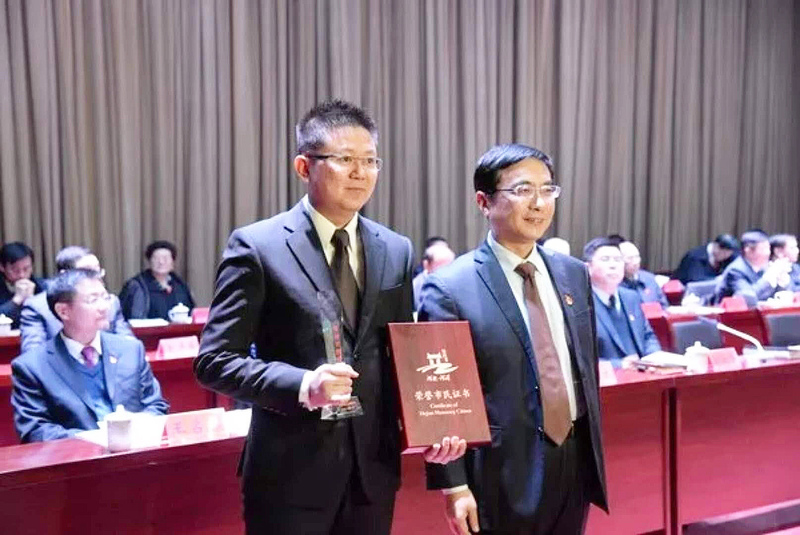 UTAR alumnus Lawrence Kang Kee Chuan was honoured as a Hejian Honorary Citizen (河间市荣誉市民) by the Municipal Government of Hejian (河间市人民政府), Hebei, China in early January this year. A Bachelor of Commerce (Hons) Accounting graduate, Kang first started his career with Deloitte Malaysia as an auditor and subsequently climbed the career ladder which brought him overseas including Singapore, Indonesia, Vietnam and China. Currently the Supervisory Board Chairman of He Bei Ming Shang De Glassware Company Limited (河北明尚德玻璃科技股份有限公司), a listed company in China and also biggest heat-resistant glass manufacturer, Kang was pleasantly surprised by the honour. “From my understanding, this is the first time a non-national citizen is awarded the Hebei Honorary Citizen award. This makes me delighted and honoured,” Kang mentioned. An honorary citizen award is bestowed by a country on a foreign individual deemed especially admirable and worthy of the distinction.